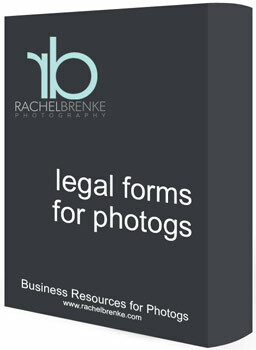 So I became ridiculously excited when my friend Rachel, who is both a photographer and a lawyer (WOOT! ), decided to start offering her contracts to other photographers. While places like the PPA offer free contracts to get you started, I felt like these were far too simplistic and didn’t provide enough coverage in the worst case scenarios. But let’s face it. Things happen that are out of our control, and relying upon a contract that has not been written by or reviewed by a lawyer is a very bad idea. It’s a gamble that’s just too risky to take. You could lose so much if something were to happen and your unhappy clients won a very expensive lawsuit against you. You need to always, ALWAYS have a contract, even when you’re performing the service for free, even if it is for family or friends. Contracts aren’t just to protect you against the worse case scenario. They also help to set proper expectations about your services. If you shoot weddings and have someone second shoot with you, your contract will outline all the details, such as pay, what they can use the images for, who owns the images, etc. 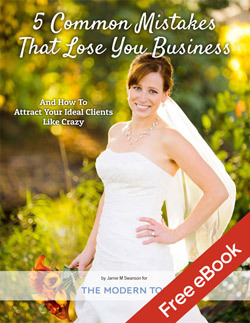 It’s also great for clients, for they’ll know what to expect. If you have a $50 reschedule fee and you’ve told them about it and it’s written in their contract, then you’ll be less likely to have people waste your time wanting to reschedule because the weather isn’t exactly what they wanted it to be or for some other reason that won’t affect the quality of your photos. You can point back to their signed contract with you instead of them just “finding out” about it. Contracts are a great way to set proper expectations with your clients, and I highly suggest going over them with each and every client so they know what they are agreeing to when working with you. So where can you get a good contract? This is where my lawyer/photographer friend Rachel comes in. She recently released several contracts for photographers and I couldn’t be more excited to share them with you. If you haven’t had a lawyer write or review your contract, I highly recommend purchasing these contracts for your business. A solid contract is priceless when you really need it. Click here to learn more and buy the legal forms now. (Affiliate link) You should still have a lawyer review your contract, but this will cost you much less than having them create one for you from scratch. Know other photographers who might find this useful? Are you part of photography forums or photography groups on Facebook? 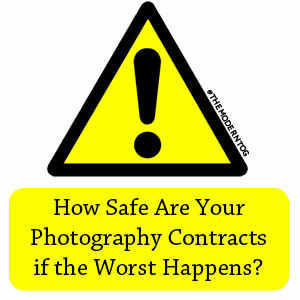 Please share this post with them as having a good contract is one of the most important things photographers can have, and I’d love to spread the word far and wide. Thanks!!! Legal Disclaimer: I hate having to even put this here, but just like I’m telling you to protect your business, this protects mine from people who might misinterpret my advice. I’m not a lawyer, so these recommendations are to be used at your own risk. Because I am not the creator of these contracts, I cannot be held liable for any outcome you have from using them.